The Riverwalk in Downtown Greenville, South Carolina, is a beautiful extension from the city’s spectacular Falls Park. 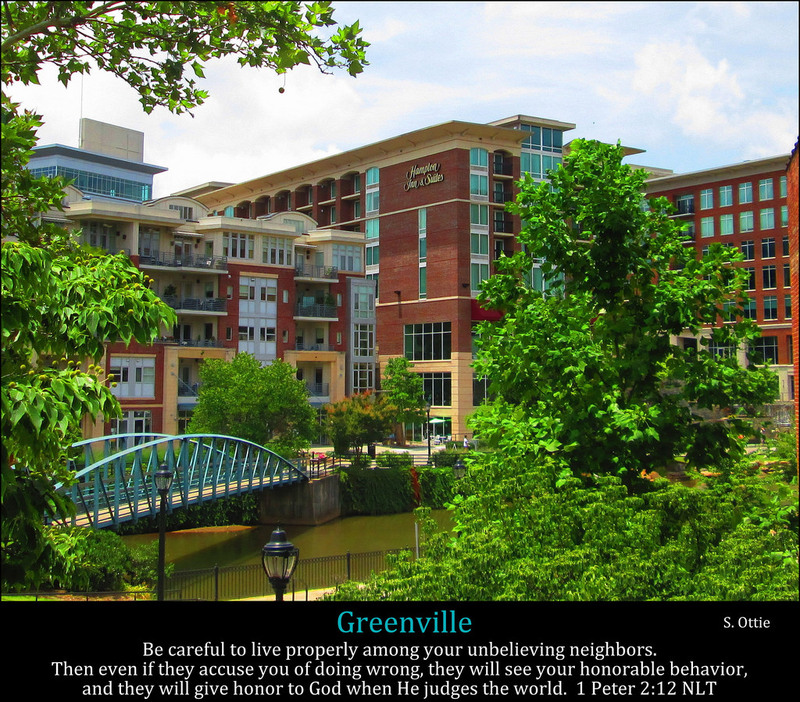 Greenville is located in the "Upstate" region of South Carolina. Here, Falls Park, which hugs the Reedy River, is a scenic parkland paradise of large waterfalls, scattered boulders, and manicured green spaces situated at the heart of a thriving central business district offering diverse restaurants, interesting shops, and luxurious hotels. A striking pedestrian bridge, a children’s downtown scavenger hunt for hidden bronze mice, and lots of shade trees also add to Downtown Greenville’s allure.